I started thinking about what Baby E should be for Halloween months ago. Remembering that he was born in the year of the dragon in Chinese astrology, it seemed only fitting that he would be a dragon this year! 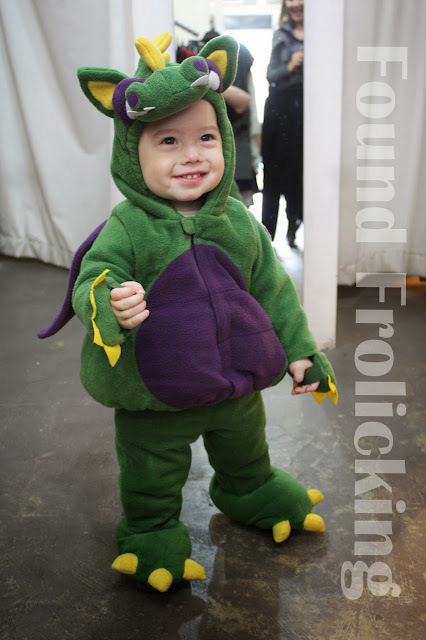 So here is Baby E, all dressed up in his dragon costume for Halloween yesterday!!! What do you say, good call? 14 months.